Homeowners often get a ton of information from various sources about refinancing. Because there are many types of refinances it can be a bit confusing when trying to compare the different loans. This article will serve as a basic guide to explain a refinance mortgage and why a person would consider this financial move. 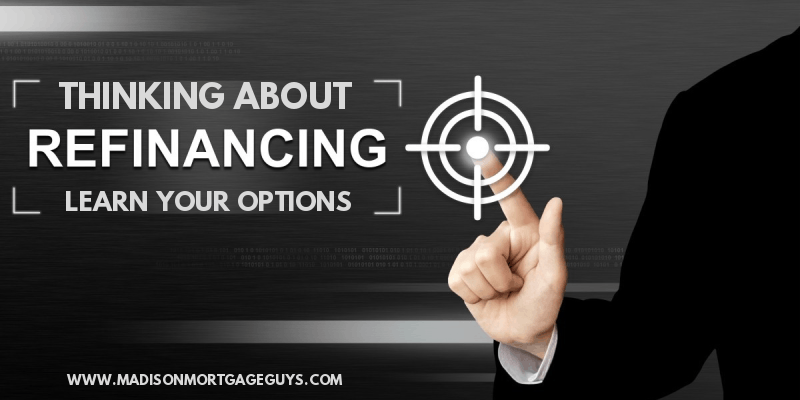 Let’s start by defining a refinance loan and then listing the types of refinance mortgages. A refinance, or refinancing is replacing an existing mortgage loan with a new loan. The old mortgage, which is a loan secured by the property, is paid off and in its place, sits a new loan. The new loan can be quite similar to the old loan or it can be drastically different. Each kind of loan will be further explained below. A rate and term refinance allow the borrower to change either the interest rate charged on the loan or the term of the loan or both items can be changed. Most people are familiar with the interest rate. This is the amount above the original loan amount that will be paid over the life of the loan. Most of the time, when people choose a rate refinance, they are opting for a lower interest rate than their current loan. Over time, getting a lower interest rate can save the homeowner thousands of dollars in interest. The term is the number of years for which the mortgage is finance. The term can be as low as 5 years or as high as 30 years. People have different reasons for choosing a term refinance. Perhaps they started with a 30-year loan and they now wish to pay the home off sooner so they choose to refinance to a 15-year loan. Or perhaps they started with a 15-year loan and their circumstances have changed, requiring them to refinance to a 30-year loan in order to lower the payment. In the case of a rate/term refinance the homeowner is normally allowed to receive a nominal amount at closing, typically $1,000 or less, but nothing more. A cash-out refinance allows the homeowner to use the built-up equity in the property to pay other bills. For example, suppose a homeowner purchased a property that was worth $150,000 only 5 years ago. After spending time and effort on select improvements, and thanks to choosing a home in an appreciating area, the value of the home is now $205,000. The homeowner can refinance and use some of that difference between the new value and the existing loan balance. The amount that the homeowner can get will depend on the type of loan and the borrower’s particular situation. Many refinances will let the borrower receive 80% of the home’s new appraised value, while others may allow up to 95%. The money that the borrower received will often be available without restrictions. The homeowner can use these funds to pay off other debt such as credit cards or student loans. Or the funds may be used to buy a vehicle or a boat. Regardless of the reason, the money can be made available and spent at the borrower’s discretion. There is one important item to keep in mind. Most of the time, with a cash-out refinance, the borrower is taking out a much bigger loan amount, resulting in a higher monthly mortgage payment. This needs to be taken into consideration when putting together a financial plan. This type of refinance requires the homeowner to bring a certain amount of funds to the closing to pay down the old balance. Why would a person choose to pay extra money at closing? There are a few reasons. The first deals with private mortgage insurance. For conventional loans, private mortgage insurance is assessed if the loan amount is equal to or higher than 80% of the home’s appraised value. A few thousand dollars now could lower the balance and allow the lender to remove the private mortgage insurance. 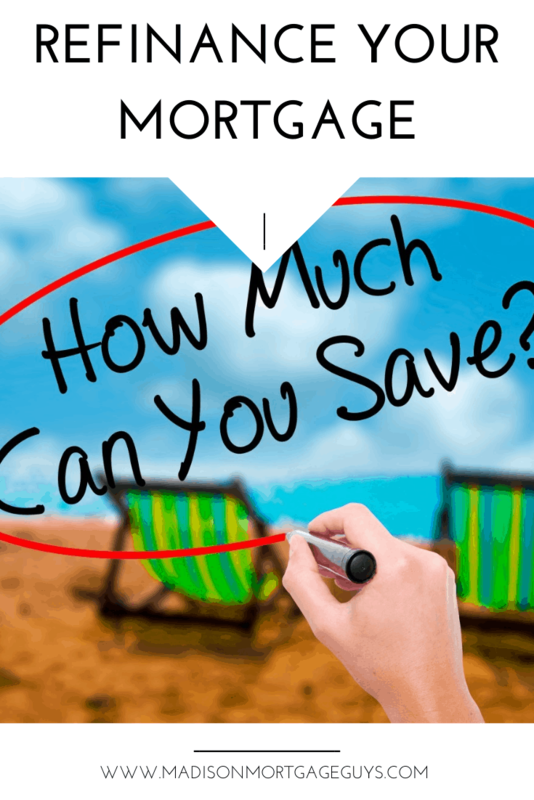 This could save the homeowner thousands of dollars during the lifetime of the mortgage. The second reason deals with interest rates based on loan to value. Mortgage loans are approved based on assuming a certain amount of risk. If the borrower receives 75% of the home’s value, instead of 80%, then the risk to the lender is lower. A lower risk can mean a lower interest rate. Paying money at closing also could get the balance low enough to allow for a shorter term loan and keep the payments approximately the same. There are some people that may have negotiated private seller financing for a home or piece of land. In these instances, the seller acts as the bank. They write up the contract for the sales price, negotiate the term and rate with the buyer and then collect monthly payments from the buyer. In order to refinance one of these contracts, the buyer and seller need to take a few steps with the initial deal. Since these loans are not usually reported to the 3 main credit bureaus, having a paper trail will make it easier to complete a refinance. Get the mortgage/land contracted entered in to record. A title company can record the contract at the appropriate county courthouse. This provides proof that a legal contract exists between the buyer and seller. Pay the mortgage each month on time, with no exception. It would be wise to pay with a check. This would show when the payment was made by the borrower and when it cleared the bank, once again adding to the paper trail. Making all payments on time for the most recent full year shows the buyer to be creditworthy. Talk to a lender that has access to various institutions that can handle these specific type of loans. It could be a large organization or a portfolio lender. Either way, they will be comfortable with the less-than-traditional type of documents needed to verify the loan. The paperwork needed for refinancing will vary based on the type of loan. Each loan and even each lender will have varying requirements. For a conventional loan, a refinance will require the same basic documents needed for the original purchase. The borrower will need to document their income in the form of pay stubs, W-2 forms and possibly tax returns. Self-employed borrowers will need personal income tax returns as well as business returns. A new appraisal on the home will need to be completed. A new title binder will also need to be completed on the property to determine any existing mortgage and any other lienholder that may have filed on the home since the last mortgage was recorded. People that are currently paying on government loans, such as an FHA or VA loan, may choose to apply for a conventional mortgage refinance. Homeowners that currently have an FHA loan as their primary mortgage may choose to use the FHA Streamline Refinance. There are some requirements for getting this mortgage, most notably a good payment history on the existing mortgage and a financial benefit of refinancing the loan. However, for people that meet the requirements, they do not have to provide new income documents and the new appraisal is often waived. But there is one drawback; cash-out refinance is not allowed with the FHA Streamline Refinance. Like the FHA, the VA offers a streamline refinance for people currently paying on a VA mortgage. The official name of the program is called the Interest Rate Reduction Refinancing Loan and is often referred to by the anagram IRRRL. This program works very similarly to the FHA streamline refinance. So long as the borrowers have a good payment history on their existing VA mortgage they can refinance without proof of income or a new appraisal. As long as the borrowers meet the debt to income ratio guideline they may choose to move to a shorter term. Like the FHA streamline, the IRRRL does not allow borrowers to get cash with this refinance. Now is a good time to interject a word about lender overlays. All of the information listed above is generic info for each program based on the published guidelines. But the majority of lenders will have their own additional requirements known as lender overlays. A lender overlay is akin to extra protection for the lender. These additional guidelines are in place based on that particular lender’s financial experience in the mortgage market. For example, the conventional guidelines may say that for a cash-out refinance the borrower’s debt to income ratio cannot exceed 45%. But your lender may draw the line at 41%. Does this mean they are violating some lending rule? No, not at all. It means this lender is a bit more conservative when it comes to the area of debt to income ratio for cash out loans. If you are a homeowner, it pays to stay up to date with the latest changes in mortgage rules. Lenders change their rules about private mortgage insurance and the overall lending landscape may change with higher conventional loan limits or higher loan to value loans. Any of these changes could benefit a homeowner and allow them to either get more cash out or refinance to a loan that saves them thousands in the way of smaller interest.